Reserve a GTX REV 550 – The Grand Touring 550 is a 2-up grand touring long-track with electric start, push button reverse, heated hand & thumb warmers and heated helmet plug in (for driver). The storage compartment has enough room for a bottle of water, snack, map and cellphone. There is a luggage rack on the back to attach additional gear. 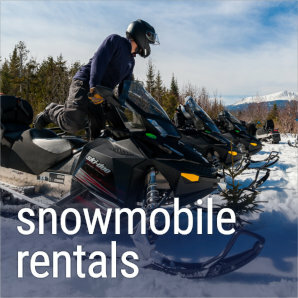 Book A Snowmobile: GT Sport ACE 600 – The Grand Touring Sport 600 ACE delivers a 4-stroke engine, a potential 300-mile riding range at about 28 mpg, 60hp – easy handling, pleasant riding touring sled for any long-distance trail ride. 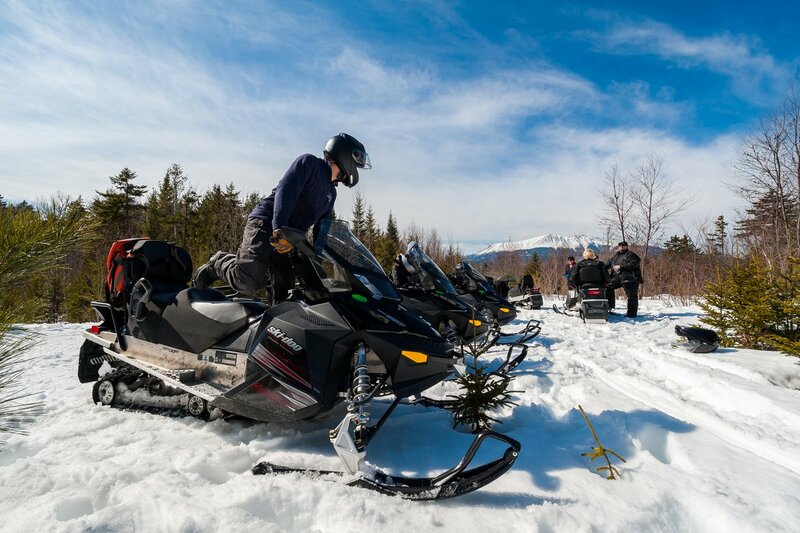 The Sport with its 60-horse ACE 4-stroke engine is a quiet, efficient sled with a clean-burning engine. 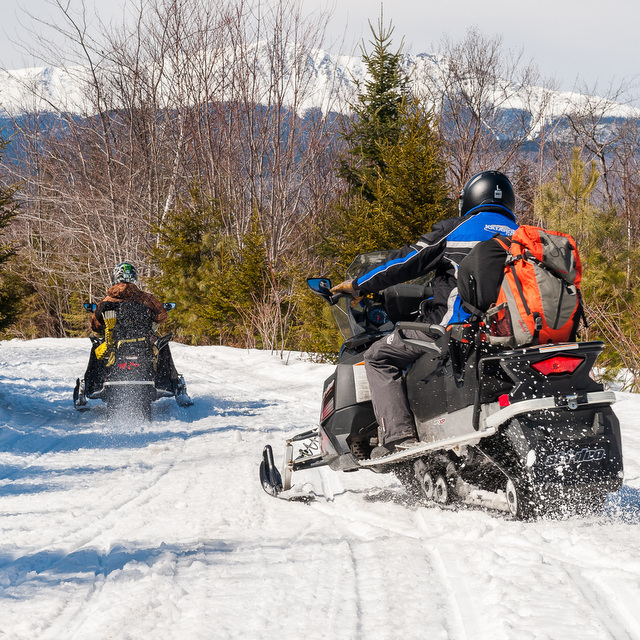 The Ski-Doo’s SC-5 rear suspension moderates bumps and keeps both front and rear passenger pretty comfortable. 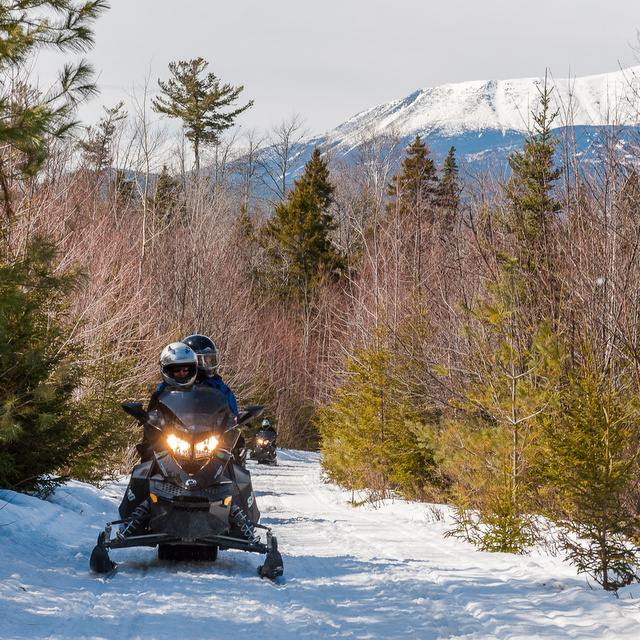 Make Your Choice, Scroll down and find the Snowmobiling Option that works for you. 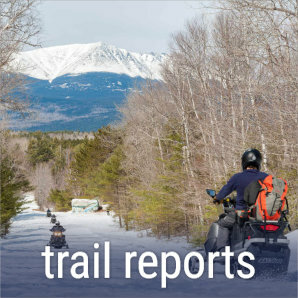 Get out of work early and get as much Maine snowmobiling as possible into your weekend. 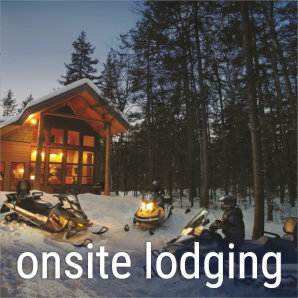 2 nights of lodging in a cabin at Twin Pine Camps, pick up your sled Friday evening at 4pm and return Sunday 5pm. 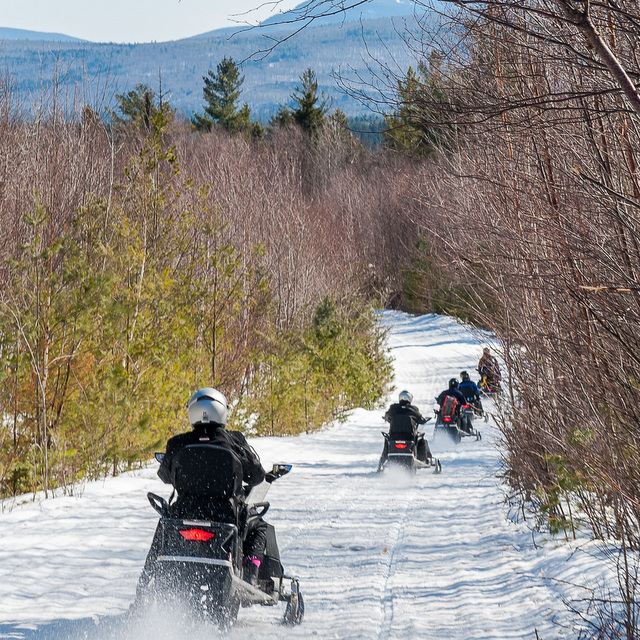 Starting at $499 per person based on 4 people (Available Dec – Jan 31st & March 1st to end of season). Play a little hooky and take advantage of our midweek specials! 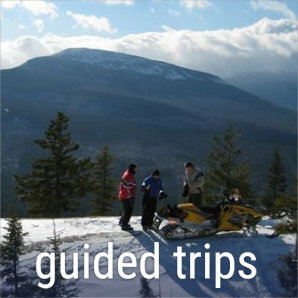 This special includes 2 nights of lodging in a cabin at Twin Pine Camps and 1 full day of sled rental. Book a private guide for a day or 1/2 day. 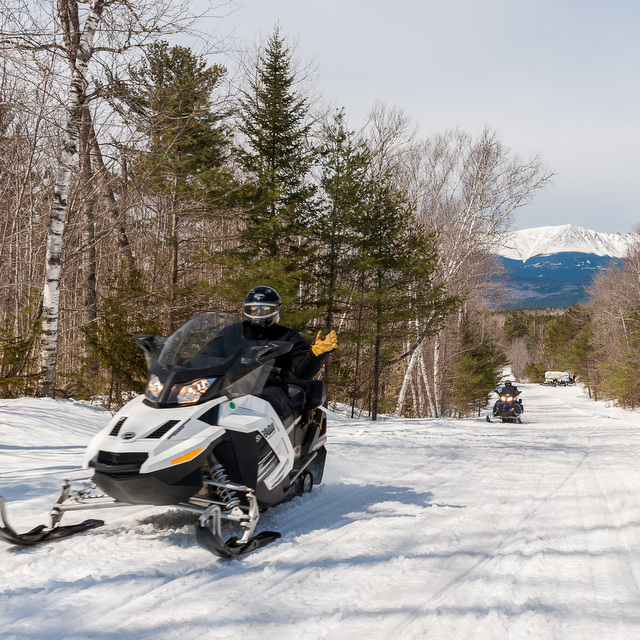 This way you can spend your time enjoying your ride and your guide can figure out logistics, teach you how to ride a sled or just save you time by getting you the experience you are looking for so you can enjoy the view. Our stay was excellent, fun and way too brief. Arrived Late Friday morning and checked in. They have hot coffee in the office and warm and friendly smiles. They took care of the paperwork quickly and got us checked into or cabins. 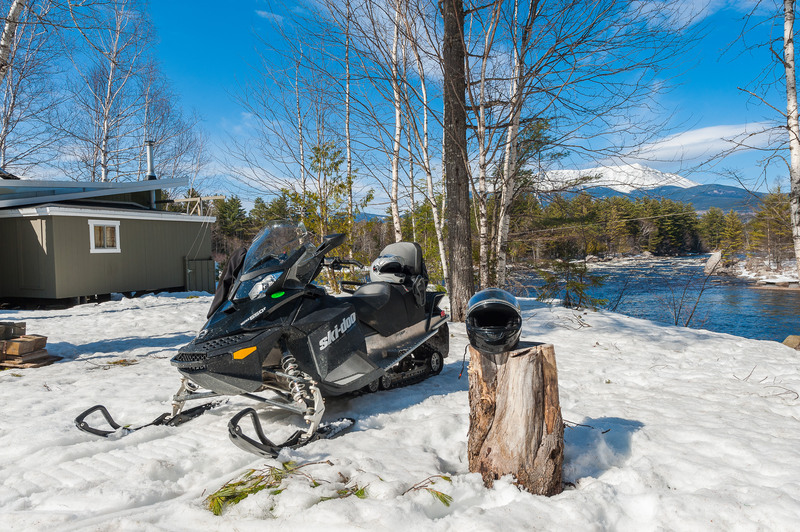 After a quick lunch at the on-site River Driver restaurant we got our rental snowmobiles (brand new Ski Doo sled with only 125 miles on the odometer - there were still some mfg stickers on the equipment). Their equipment is top notch, perfectly maintained and new every year. We hit the trails for a great afternoon of riding. This was my second visit to the NEOC. First time my family went on a moose tour - guide was awesome and knew the answers to all of our questions - no matter how obscure. This trip, we went on the snowmobile trip. It was great fun! Again, some very gorgeous scenery. Highly recommend everything to do here...very friendly people. If you have time - check out the attached restaurant as well! Dave was our guide on the snowmobile tour and was very patient, enthusiastic, well-informed, and pleasant to us two old ladies, and I would strongly suggest specifically requesting him. He was an absolute treasure. This was probably the best weekend in many years.